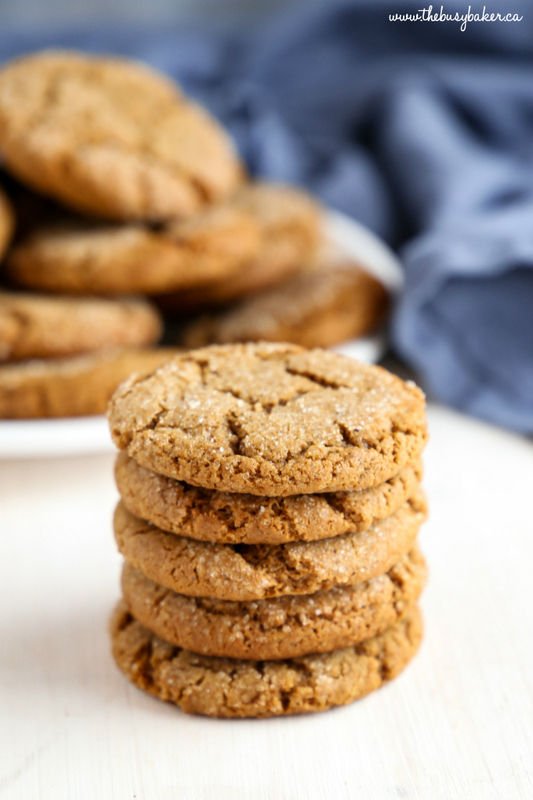 These Best Ever Ginger Molasses Cookies are EXACTLY what their name suggests: they’re crispy on the outside, oh so chewy on the inside and bursting with sweetness and a sharp ginger flavour. 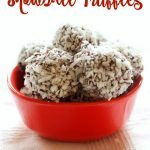 They’re one of my most popular recipes ever and they’re pretty easy to make too! 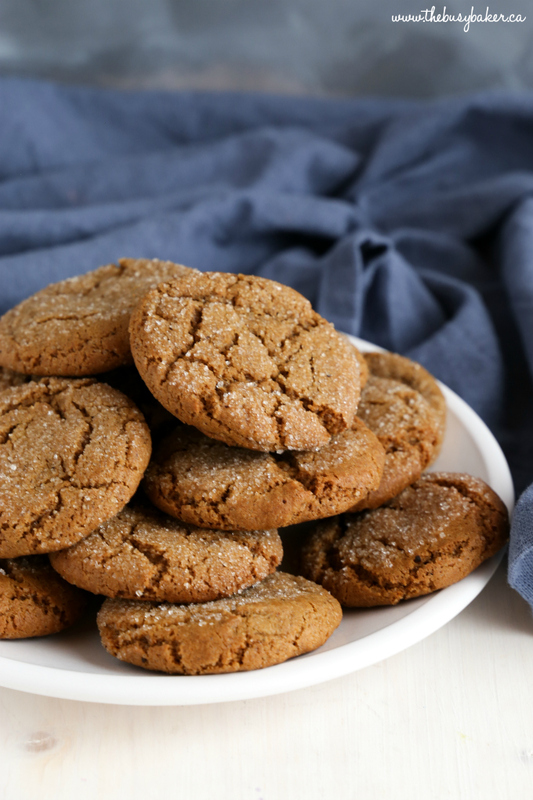 Try these Best Ever Ginger Molasses Cookies like hundreds of thousands of my readers have, and see for yourself!! Watch the video below to see how I make them and check out the FULL RECIPE at the end of this post! *I first shared this recipe in October 2015. I’m re-sharing it today with brand new photos and a brand new video tutorial! Enjoy! It dawned on me recently that I’ve been making cookies for almost 25 years. Now, I realize that doing something for a long time doesn’t necessarily make you an expert, but I would like to think that I’ve learned a thing or two about baking cookies over the years and that I have at least a few cookie recipes that I’ve perfected…and these Ginger Molasses Cookies definitely fall into the perfection category! I remember my mom making these cookies when I was very young and calling them Gingersnaps, even though my dad affectionately referred to them as “Ginger-bends” because they’re so moist and soft and chewy and don’t have that traditional biscuit “snap” quality. They’re not dry like some ginger-flavoured cookies tend to be and they’ve got the perfect balance of sweet molasses, spicy ginger, and warm cinnamon. They’re so soft that they almost melt in your mouth. If you’re still buying the Starbucks’ Ginger Molasses cookies with your morning coffee then you obviously haven’t tried this recipe! I’m telling you, once you try these cookies you won’t find yourself in the Starbucks drive thru line up anymore (unless it’s to get a latte to dunk these bad boys in)! …a crispy, sugary exterior with a soft, chewy interior. Yum! 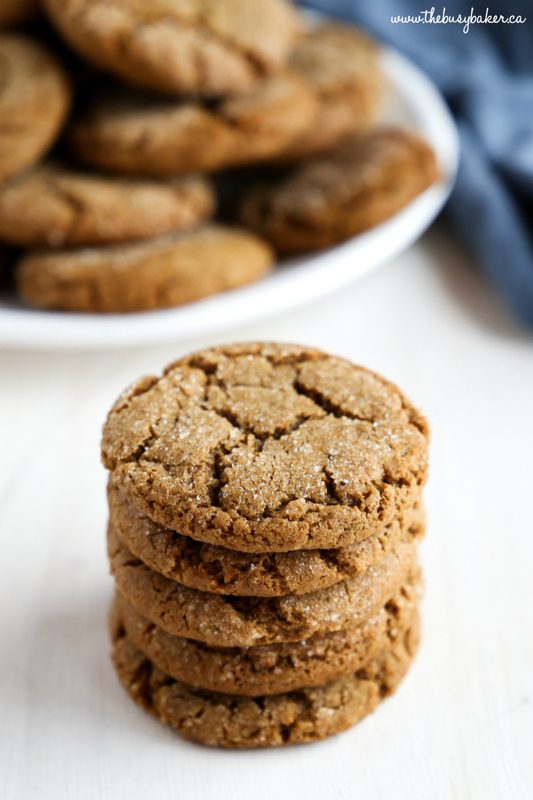 I hope you enjoy this Best Ever Ginger Molasses recipe below! Let me know in the comments below, what’s your favourite cookie? I’d love to know! 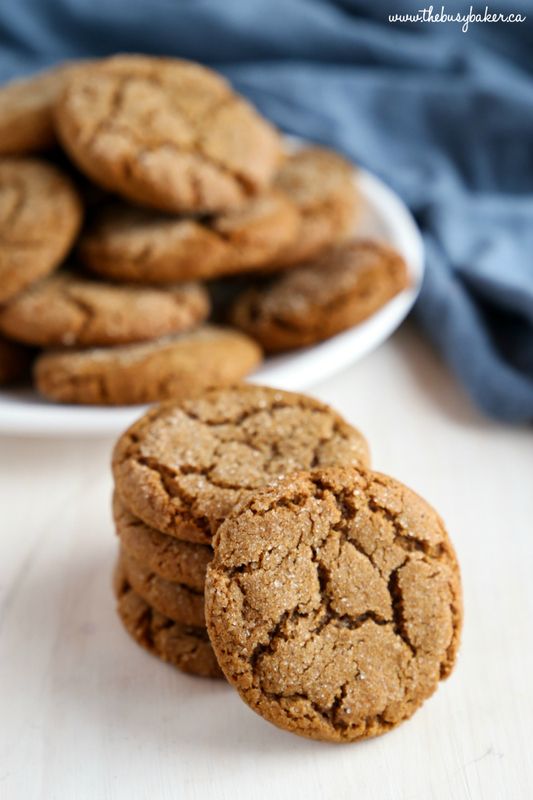 These Best Ever Ginger Molasses Cookies are crispy on the outside, chewy on the inside and perfectly flavoured with ginger! Add the butter to the bowl of your stand mixer fitted with the paddle attachment. Cream the butter on medium high speed until it is soft and creamy and the colour begins to turn pale (use a hand mixer if you wish). Add the sugar and beat on medium high speed for 2 minutes, scraping down the sides of the bowl a few times. Beat in the eggs on medium high speed one at a time, scraping down the bowl after each addition. Beat in the molasses and scrape down the bowl to ensure everything is evenly combined. In a separate bowl, combine the flour, baking soda, grated ginger, cinnamon, cloves and salt. Whisk these ingredients together to they're combined and dump the mixture into the bowl of the stand mixer with the butter mixture. Combine the butter mixture and the dry ingredients on low speed just until no streaks of flour remain. You'll have to scrape down the sides of the bowl a few times to make sure everything is incorporated. Cover the dough with plastic wrap and chill in the fridge for one hour. After one hour has passed, preheat your oven to 350 degrees Fahrenheit. Remove the dough from the fridge and shape it into about 36 balls with your hands, rolling each ball of dough in the white sugar and placing it on a baking sheet prepared with some parchment paper. Remember to space the cookies out appropriately...this recipe makes about 3 dozen cookies so you'll likely need to bake 3 or more sheets of cookies. Bake each sheet of cookies for 10-11 minutes at 350 degrees Fahrenheit. When you remove the baking sheet from the oven, let the cookies cool on the baking sheet until they've cooled almost completely. 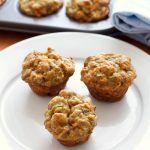 This will help them achieve that soft and chewy texture as they continue to bake on the inside even after they've been removed from the oven. Oh my, how did you know this is my favorite combo? watch out starbucks! Chrissie has you beat! One of the worst cookie recipes I've found. The "dough" was way too soft. The cooking time made them hard and they were gummy like toffee when cooked any less. Super disappointed. Made these for my sons teachers and had to start from scratch at 10:00 at night. As a newish Baker, I followed the recipe to the T and they did NOT turn out like the ones in the picture. Ugh. I just made these and they turned out great, however one of my sheets came out very flat and slightly tacky. I baked them for the same amount of time because I use a timer religiously with my baking and the oven was properly preheated; so that leaves the only other variable which could have potentially affected my cookies; my baking sheets. One is a fancy expensive wilton brand and the other is a cheap aluminum sheet. And I’ve noticed this slightly with other cookie batches, but it really made a difference with these cookies. Believe it or not I prefer how my cookies turn out when I bake them on the cheap aluminum pan from Was-Mart better than my fancy Wilton sheet. I know it’s a stretch to say it was your baking sheets that caused it, but there could be random variables that could have caused it potentially. And you did mention you were fairly new to baking so it’s very possible you could have made a newbie baker mistake. Anything from not de-clumping your flour before measuring to not properly leveling off your flour and other dry ingredients while measuring to not sufficiently chilling your dough can affect the outcome. Thanks so much for the feedback! I often freeze this dough too and it works great this way. So glad you like the cookies! I had the exact same disappointing experience. So sad. Another variable is the flour. This is a Canadian recipe, and if Anonymous is from somewhere else the flour is probably different. E.g., if I make an American recipe and I’m using Canadian flour I reduce the amount a little bit because our all-purpose flour is different from American all-purpose flour (especially different from that used in the South). I'm so sorry they didn't turn out for you! It sounds to me like one of a few possible problems: first, perhaps the butter you used was too warm, making the dough softer than it should have been, or perhaps the butter you used had a higher water content than normal. Second, did you chill the dough like the recipe suggests? This is a critical step to ensure the dough is hard enough to roll into balls. Third, the fact that they turned out hard suggests that perhaps your oven is actually hotter than it should be. A simple oven thermometer will help with this. Again, I'm sorry you didn't have success with this recipe! Everyone in my family has made it for years and years, so I hope you try it again and have some success! These are hands down the best molasses cookies!! I brought them to a Christmas Party and everybody went nuts. I almost felt embarrassed how many times people came up to me!!! Ha ha! So glad you loved the recipe! Thanks for taking the time to leave a comment! Can you use dark brown sugar instead of white? Will it make a big difference? It would add too much moisture I think, so I wouldn’t recommend it. It would likely work, however the texture of the cookies would change. Thanks Chelsea! Hope you enjoy them! I love ginger and these cookies look like an amazing use of freshly grated ginger. 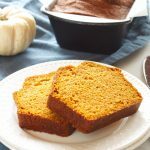 (I have a pinterest board called "Ginger Every Which Way – to which I pinned this, of course:) I might add a bit of candied ginger, just because I can never resist. Thanks so much! Let me know how you like the addition of candied ginger!! On my MAKE IT list! 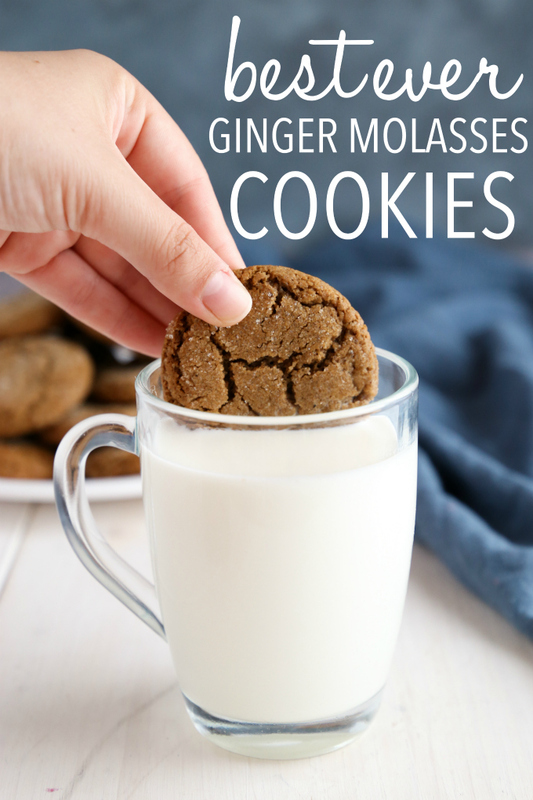 These look perfect, I LOVE LOVE molasses cookies – even though my husband hates them so I rarely get to make them! Thanks for sharing! Just posted a new cookie recipe on the blog today, would love if you checked it out! Saved to my cookies board, I always loved Starbucks, so I have to try this one! Yes, you can make them larger, but you'll have to adjust the baking time accordingly. Thanks! Can you added chopped up pieces of crystallized ginger? Can you make these gluten free?? I'm not sure, Sara. I've never tried making them with gluten free flour, but I'm sure that if you have a reliable gluten-free flour blend that is comparable to all purpose flour then they might work. You'll have to give them a try and let me know how it goes! I made them but ended up with 60 good sized cookies! Also had to increase the baking time by five minutes- go figure! They're delicious! So glad you're enjoying them!! Good to know about increasing the baking time…every oven is different! THESE ARE AMAZING! Total hit with picky eaters. Made some saturday, they are almost gone. Chewy and crunchy. I added shredded fresh ginger and candied ginger too. Thanks so much Jessica!! So glad you enjoyed them! Also, I made these at high altitude (9100 ft). I did not change the recipe, But increased the time at 375 to almost 15 minutes. Thanks Jessica! That's great to know! I use Crosby's molasses (I live in Canada) but I'm sure any brand of molasses would work. Hope you enjoy them! So sorry to hear that was your experience Rose. If it's possible to expand the window you're viewing it in that should fix the problem (I've programmed my site to have the largest margin that's possible). Hope that helps! Rose – if there is anything past the .html in the URL, delete that. You may just have the mobile website link… that's what happened to me when I found this page on Pinterest! If you zoom in on the webpage it will move the recipe text towards the right. Have you tried these with less sugar? can these be packaged in cello bags for gifting? Absolutely! What a great holiday gift idea!! Seriously dangerous cookies. I'm a gingerholic and always in search of a good ginger recipe. I also love Starbuck's ginger cookies and have tried a few copycat recipes but nothing comes close to this one. I even changed it into a vegan recipe using vegan "butter" and "eggs" and it's still outstanding! Well done! Thanks so much Lesley! I'm so glad you loved them! I stumbled across your recipe on Pinterest and the description sounded inviting! I have been on a lifestyle change so when I make anything worth eating, especially sweets, I am in for the real food! I love fresh baked cookies. So I made your recipe using the fresh ginger (my first use of fresh ginger :))Instead of rolling in granulated sugar, i used a 1" cookie scoop, dropped the dollop in raw sugar, coating the outside. After doing this, making 51 cookies, I froze them on a cookie sheet. Once frozen, I placed in a freezer bag. When my treat time comes around, I remove 1-2 cookies and bake in my toaster oven for about 13-15 minutes. Once they cool off, they are DELICIOUS! Thank you for sharing this recipe with us. It really is a keeper. Can you freeze these cookies? I like baking ahead at CHRISTmas. Yes, absolutely! They freeze very well!! These look delicious! They would be a great gift! Thanks so much! And yes, they're great as an edible gift! Looks great! Perfect for the holidays. What size should the balls be before placing on the cookie sheet? Ok so I literally just took the first tray out and my mother in law and I are in heaven! My boyfriend might just propose to me once he gets home lol. Thank you for this delicious recipe!! What size cookie scoop would that Be? The cookie scoop I have is just under a tablespoon in size. My came out of the oven a little fluffier than in the picture. They don't look flat like they should….does this mean I didn't cook them long enough? Hmm It sounds like maybe you cooked them a little too long actually. Another possibility is that your oven is hotter than it should be…sometimes that happens. I baked these at someone else's house once and the oven was about 25 degrees hotter than 350. It made a BIG difference! I'm making a plate of cookies for about half a dozen neighbors and this was the first one I made! I only tasted the batter before wrapping it up and refrigerating it and it was super delicious! Except I'm going to try rolling half of them out and using gingerbread men cutouts, even though it's not really the right consistency. I liked the level of spiciness(not too "gingery")and sweetness. Really awesome! Thanks for sharing! Huge, huge hit! Really, really awesome! Huge hit! Instead of putting in the fridge for 1 hour will it be ok overnight? Just taking these out of the oven now. They look perfect. I didn’t have baking soda so I used an 8th tsp. of baking powder. 😳 I know I know! Didn’t seem to hurt. Just made these … they smell great . But they don’t look anything like your photos . I also wasn’t sure if I should shape the cookies, 1 thumb press , or leave it in a ball before baking . I also got crosbys molasses this morning . I wasn’t sure if I shoulda gotten fancy molasses or regular molasses . Your blog didn’t note fancy so I got regular molasses by Crosby . I tried again with the remaining dough , shaped at 1 tablespoon balls . It sounds like the temperature of your butter could be the issue, or perhaps the size of your eggs. If you use very large eggs it can create a more cakey consistency and less crackle on the top. Another issue could be your oven temperature. It sounds like your oven might have been set at a lower temperature than the recipe calls for. Always use the middle rack for baking cookies and try using an oven thermometer to ensure your oven is baking at the correct temperature. Any kind of molasses will work for this recipe. And you don’t have to shape the cookies or press them before baking, just roll into balls and dip in sugar exactly as the recipes says. I hope these tips help you troubleshoot! I’ve made this recipe about 4 times now and every single time they turn out beautifully and are so delicious! have you ever added chunks of sugars ginger? I kind of want to try it as a variation, but at the same time, don’t want to risk what is already a fantastic cookie! I’ve never added chunks of candied ginger, but I bet it would be delicious!! Glad you like the recipe! I hate to say it, but I’m disappointed by these cookies. The flavor is truly amazing, and I love that they call for fresh ginger. but they turned into completely flat dark brown messes in the oven. I used room temperature butter, chilled the dough, and baked them in the center rack! No idea where I went wrong. I’ve been making these for the past couple of years. It’s gotten to the point now that it’s not uncommon for my sons’ and brother’s friends as well as my own friends to ask when I’m making the next batch and at Christmas they come right out and ask for me to make them. Excellent recipe and YES; better than Starbucks!!! 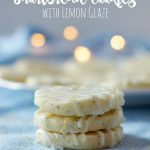 Just made these cookies and they are fabulous! I don’t use all purpose flour so I substituted spelt flour. I also used coconut palm sugar instead of white sugar. These were the only substitutions I made and they turned out perfect! Thanks for an awesome recipe that I will make again and again! I’ve never substituted the sugar with Splenda so I can’t say whether or not it would work, however any sugar substitute that claims it’s good for baking would probably work. Feel free to give it a try! This is the perfect cookie. I am NO cook, I ruin everything I cook – especially Pinterest cookies! But these looked and sounded too good not to try. I halved the recipe so I wouldn’t waste too many ingredients if it flopped and now I am totally regretting that decision. My husband who is adamantly opposed to any sort of ginger cookie is on his fourth one! I could cry I’m so happy LOL! Thank you!! Omg, literally just finished eating five of these bad boys! They turned out fantastic, thanks for such a great recipe. Only thing differently I would do next time is used powdered ginger, not fresh. It was sticky and hard to blend in with the flour. Thanks so much for the feedback! I find a great tip for incorporating fresh ginger is to freeze it before grating it into the recipe. That way it’s almost like a dusty powder and not sticky. Glad you loved the cookies!! 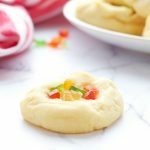 Can this recipe be rolled out and used with a cookie cutter? No, I’m sorry it’s not that kind of cookie dough. This dough is much too soft for that and suited for a drop-cookie style like these are. I made these today for Xmas and they turned out okay but not as good as I hoped. The texture is good but I found them a bit bland. Even as I was measuring the spices I thought “shouldn’t this have more than 1 tsp ginger for 4 cups of flour for a ginger molasses cookie?” But I did follow your recipe to a T. My stepmother had a great recipe for these I grew up on which I have lost and she has passed away now unfortunately so looking for one to replace it. I am used to her sweeter, somewhat spicier flavoured cookie which tasted a lot like the ones Tim Horton’s normally has in fall/winter (but not this year). I haven’t had Starbucks’ cookies so can’t compare. Also my cookies did not spread much or crack …not sure why. They puffed up but I had same problem with chocolate chip cookies recently so may be my oven, not sure. Mine came out a bit too dark on bottom. Two sheets baked side by side: one has black bottoms, the other has dark brown. Could be difference in sheets or one side of my oven may be hotter than the other. Not sure. In any case thank you for sharing your recipes! Merry Christmas! Thanks for your feedback! It sounds like the issue is your oven…oven temperatures can often be off (it’s a good idea to use an oven thermometer, just to check! ), and ovens that heat unevenly can cause over-browning on the bottom. Feel free to add more ginger to the recipe if you’d like! Thanks for taking the time to leave a comment! I’ve made these twice and everyone loves them. The flavour is really good. I liked how everything can just be done with a stand mixer or hand mixer as well. I added chopped candied ginger the second time and halved the powdered ginger. I find that mine need a lot longer in the oven… closer to 18-20 mins to still be soft but have a crunchy edge. At 10 minutes they’re still unflattened balls and need longer to spread. I have an oven thermometer so I don’t think it’s a temperature issue. But so tasty!! Thanks for your feedback on the recipe. The way they baked up for you sounds a little strange…I’ve made these hundreds of times and they’ve never taken longer than 10 minutes to bake. I would have suggested that your oven temperature is off…maybe you should try a different thermometer! Glad you liked them though! Thanks for taking the time to leave a comment! Thankyou for sharing this delicious recipe. I made them yesterday and as I am baking them today, the house smells amazing! I doubled the recipe and I’m so glad I did as the first ones that came out of the oven are already eaten and we are waiting for the second sheets to cool. Thankyou again! So glad you love the cookies!! Thanks so much for taking the time to leave a comment! I love this recipe. Best cookies ever. I find chilling dough overnight works best. I have a question. 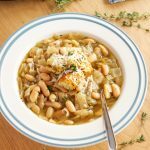 Can I substitute gluten free flour and get the same results? I’m so glad you like the cookies so much!! They truly are the best! I’ve never made them gluten-free, so I can’t comment, but if you have a gluten-free flour that performs like all purpose flour then I’d give it a go! Thank you! Made these cookies successfully many times and now have a “reputation” for making the best ginger cookies. I slightly increase the amount of spices when making them for people who prefer a bit more kick. I tend to add some powdered ginger to the white sugar used to roll the cookies in. I have also added pecan pieces and/or chopped crystalized ginger when I have some on hand, which has made them even more special when bringing them to others as gifts. I absolutely LOVE your idea of rolling the cookies in ginger and sugar!! Genius!! Thanks so much for taking the time to leave such a thoughtful comment! Have a great day! 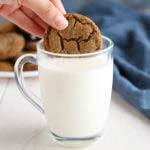 I was searching today for the Starbuck’s Molasses Cookie recipe because it’s that time of year! I found your recipe and it caught my eye that you say these are “better than Starbucks.” So I’m game! I noticed the comments about the baking sheets and that you stated the sheets can make a difference in the outcome. Of course, we tend to think that the fancy ones/heavy duty will probably yield better-tasting cookies. So what do you recommend in baking sheets. I tend to shop the varieties at Marshall’s, TJ Maxx, and Home Goods. Appreciate your recommendation. My favourite are the Wilton brand, the light grey non-stick ones that you can get almost anywhere (even places like WalMart). Not very expensive at all, and I always line with parchment paper (which makes a HUGE difference). Dark cookie sheets tend to darken the bottom of your cookies a lot more than light coloured sheets do. Good luck! Making these to make a ginger cookie crust for my Thanksgiving Pumpkin Cheesecake! Thanks. Oooh! That’s a great idea! Let me know how it turns out! I just made these and they turned out wonderful! They are an awesome blend of spice and sweet. Will definately make them again! Thanks so much! SO glad you loved them! Just made these and they turned out just as described. They are delicious! Thank you for a wonderful recipe I know will become a tradition at our home. 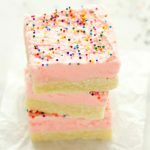 This recipe calls for way too much baking soda which actually leaves a lingering bitterness/soapiness taste on the palette of your tongue. Other than that, this recipe is great, should reduce the baking soda down to two tsp. Generally 1 tsp of baking soda is sufficient for two cups of flour as a leavener. This is my third year making these cookies! For those who complain & state that they did not turn out had to have done something wrong. This recipe has never failed me. My whole family loves them, I always double or triple the recipe because they fly off the pan before they are even fully done cooling. I agree 🙂 Thanks so much for taking the time to leave a comment!!! I just made these cookies. I found them a lack in cinnamon and ginger flavour. The cloves is a little overbearing too. Definitely not better than Starbucks! I made bigger balls ( golf ball size) and baked for 11 mins, texture was good. Hi, I made these cookies and they turned out delicious the first time! For anyone having trouble I learned the hard way with another recipe that the flour measuring method of scoop and leveling can make a big difference. I was surprised at the smaller amounts of spices but it worked out great and the end product was very popular. 🙂 thanks for the recipe! Love your Ginger molasses cookies, best I’ve ever made. Also love the mushroom risotto. Could you tell me where I can get the flatware you show in the mushroom risotto pictures? My friend lives the color combination (I think it’s copper/silver, or, peach color/silver). It would be a great Christmas gift for next year. Thank you so much. Thanks for your comment! The flatware was originally from Pier 1 (I believe), although last I checked they don’t have it anymore. But it’s worth checking their website!